Vehicle financing programme that earns you cash. When you apply for vehicle financing the traditional way, you may find yourself faced with a very long list of problems and obstacles, especially if you are struggling with issues like a bad credit record or blacklisting. Financial service providers often have criteria which can be very difficult to meet if you are experiencing financial difficulties, or even if the car within your budget capabilities is too old to qualify. Thankfully, Earn-a-Car has the solutions you seek. By choosing to purchase your vehicle at Earn-a-Car, you qualify to choose from our extensive range of top quality second-hand vehicles, meaning you are guaranteed to find the car perfectly suited to your budget and your needs. 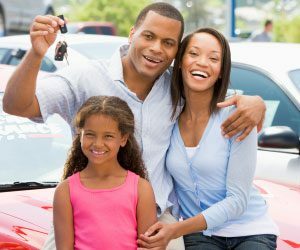 It also means you have the benefit of foregoing all the complications that come with traditional vehicle financing and have the opportunity to earn your car while you drive. By following our carefully constructed payment plan, you could be the owner of your chosen vehicle in as little as three-and-a-half years and our contracts will guarantee you are never left out in the cold as accident services and break down assist are included in your agreement. As an added bonus, Earn-a-Car will even pay you cash for referrals that result in a contract. Now if that doesn’t warm up your winter, then we’re not sure what will. Have a look at our easy to meet criteria online, or contact us for more information.